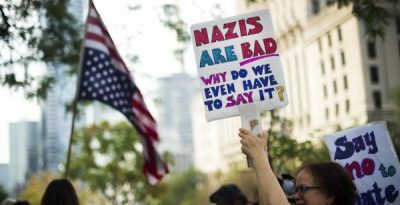 We bring to the attention of Global Research Readers this incisive article by Philip Giraldi on the absence of an anti-war movement in the US. The collapse of the anti-war movement occurred in the wake of the invasion of Iraq. One of the key reasons for the collapse of the peace movement is that virtually the entire mosaic of so-called progressive movements and NGOS is funded (with some exceptions) directly or indirectly by corporate foundations (Open Society Foundation, MacArthur, Ford, Rockefeller, et al) which indelibly support what is euphemistically called US foreign policy, i.e. America’s global military agenda which is portrayed as a “peace making undertaking” with a view to protecting the National Security of America and its allies. In recent years, major protest movements in the US, the EU and internationally are generously funded. The limits of dissent are set by their corporate sponsors. Who funds the World Social Forum (WSF), #Occupy Wall Street, Democracy Now, #Black Lives Matter, Human Rights Watch, MoveOn, Carnegie Foundation for International Peace, Code Pink. etc. The idea is to retain the mosaic to prevent the emergence of a mass movement, ie. the “do it yourself” approach of constituent organizations, e.g. under the umbrella of the World Social Forum. In a bitter irony the Occupy Wall Street (OWS) Movement was in a sense funded by Wall Street. The United States of America has no peace movement even though the country has been mired in unwinnable wars since 2001 and opinion polls suggest that there is only lukewarm support among the public for what is taking place in Afghanistan and Syria. This is in part due to the fact that today’s corporate media virtually functions as a branch of government, which some might refer to as the Ministry of Lies, and it is disinclined to report on just how dystopic American foreign and national security policy has become. This leaves the public in the dark and allows the continued worldwide blundering by the US military to fly under the radar. The irony is that America’s last three presidents quite plausibly can be regarded as having their margins of victory attributed to a peace vote. George W. Bush promised a more moderate foreign policy in his 2000 campaign, Obama pledged to undo much of the harsh response to 9/11 promulgated by Bush, and Donald Trump was seen as the less warlike candidate when compared to Hillary Clinton. So the public wants less war but the politicians’ promises to deliver have been little more than campaign chatter, meaning that the United States continues to be locked into the same cycle of seeking change through force of arms. It is hard to believe that most Americans support Pompeo. To be sure, there are a number of groups in the United States that have the word “peace” or “antiwar” somewhere in their titles. Most would describe themselves as “progressive,” wherein lies the problem in pulling together a more broadly-based coalition that would make America’s warfare state a key target in the national election in 2020. Progressives, or, as they used to be called, liberals, are not like everyone else. Some commentators observing their antics describe them scathingly as “social justice warriors” or SJWs. That means that they have a mandate to oppose all the evils in the world, to include racism, sexism, limits on immigration and capitalism to name only a few. War is somewhere on the list but nowhere near the top. SJWs have no comfort zone for dealing with anyone who does not fully buy into their blueprint for global rejuvenation. This means in turn that the antiwar movement, such as it is, is fragmented into a gaggle of groups with grievances that have little ability to establish cohesion with other organizations that might agree completely with their worldview. Folks like me, who are socially and politically conservative but antiwar, do not fit well with their priorities and would prefer to focus on the wars, but that option is not on offer without accepting a lot of sanctimonious garbage. As war, in this case the slaughter of the Palestinians by the Jewish state, is the ultimate evil and it brings with it many other forms of suffering, it would seemingly not be asking too much to worry about it as a first priority before getting into the “multiple layers of oppression” that seem to bother lefties so much. But, alas, they cannot jettison that baggage and for that reason many “normal” people who want the wars to stop will not be participating in their protests. It’s a shame really, as joining together and fighting to stop the next war is well worth doing for every human being on this planet. Philip M. Giraldi is a former CIA counter-terrorism specialist and military intelligence officer who served nineteen years overseas in Turkey, Italy, Germany, and Spain. He was the CIA Chief of Base for the Barcelona Olympics in 1992 and was one of the first Americans to enter Afghanistan in December 2001. Phil is Executive Director of the Council for the National Interest, a Washington-based advocacy group that seeks to encourage and promote a U.S. foreign policy in the Middle East that is consistent with American values and interests. He is a frequent contributor to Global Research.